If you are looking for the Giveway post -HERE is the Link. It is still open until Wed. Feb. 8th. Thank you all for the lovely comments, it's so fun to see where everyone is coming from. Zoe and I arrived back in Rexburg just a little while ago. We stayed a longer than usual, because we wanted to attend the baby blessing of my cousin, Anna. She is so sweet and precious, I'm so glad we were able to attend. 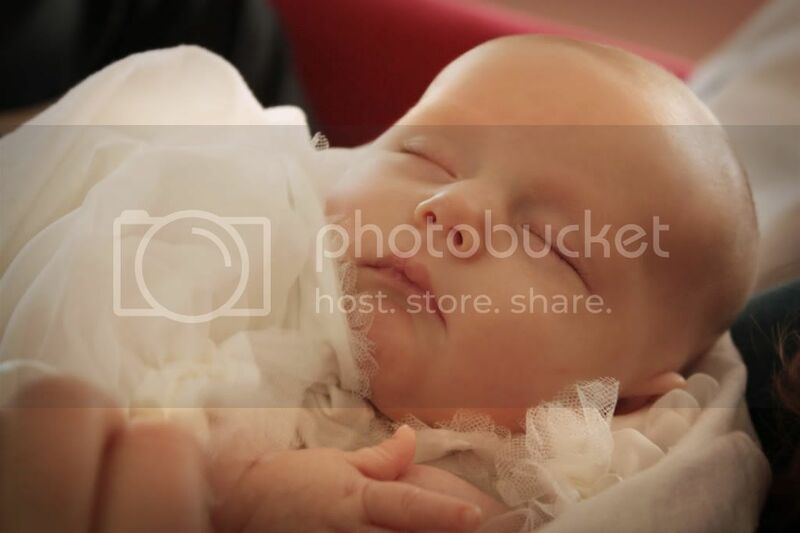 This layout is of one of my newest nieces, Gwendolyn. I made it using the Polka Dot Whimsy November Kit, which is still available HERE. I actually dreamed about this particular layout. My favorite part is the Hello badge, but instead of saying, "My name is..." it says' "my story is..." I thought it was just perfect for a brand new baby. Ever since she was born, I have adored this picture of her, with her daddy Eric. I'm so glad I was able to translate it into a page that I love. So as you can see - I have babies on the brain. Also, my dear friend, Keshet had her baby this week. So excited for her. I'm making her a special baby gift and I want to share it on here, but Keshet reads here, so I'll just have to wait until she gets it in the mail to share it here. Doing some catch-up . . . I love that you love this picture. And, that you love scrapping photos of my little Gwendolyn. It's so fun to see!!! Thanks Holly! What a cute page! Love the spring colors! What beautiful babies! 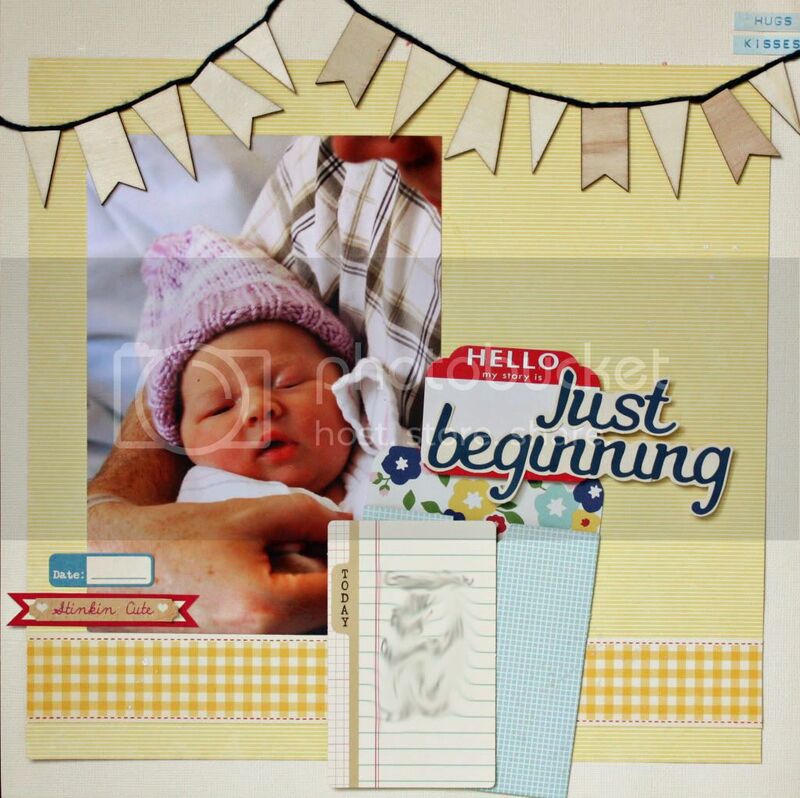 I love the scrapbook page, I think it is so neat how you made the tag saying my story is just beginning. Thanks for sharing. I adore that page with some bold colors!! Holly, you are the sweetest:) I can't wait to see it!